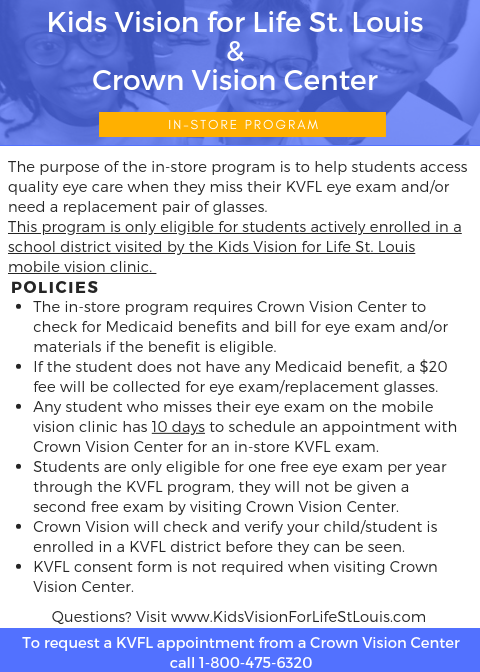 Kids Vision for Life St. Louis is proud to partner with Crown Vision Center to offer in-store services for students ages 5-20. To schedule an appointment, call 1-800-475-6320 and request a Kids Vision for Life exam. Visit CrownVisionCenter.com to find a convenient Crown Vision Center location.